In the Mediterranean, octopuses adapt easily to artificial homes. Off Sardinia, in the Mediterranean Sea, scientists gave a flagging octopus population eight legs up by building them tiny houses. The octopodes’ abodes were made of PVC, cement, and rope, and offered a sanctuary in which the cephalopods could hide and breed. The decline of the common octopus off the coast of this rugged, picturesque Italian island is a problem for fishermen, conservationists, and chefs. Sardinia accounts for most of the country’s octopus harvest, and on the island they are served up boiled, with tomatoes, onions, and herbs as polpo alla catalana. Between 2001 and 2010, the catch dropped by more than half from 3,400 to 1,586 tonnes. A growing taste for octopus around the world combined with dwindling global catches pushed up prices, and the subsequent intensification of fishing in places like Sardinia could be harming stocks further. Sardinia is the only Italian region with fishery regulations designed to protect octopuses, says Danila Cuccu, a biologist at the University of Cagliari on Sardinia. “However, these measures don’t seem to be enough to arrest the decline,” she says. 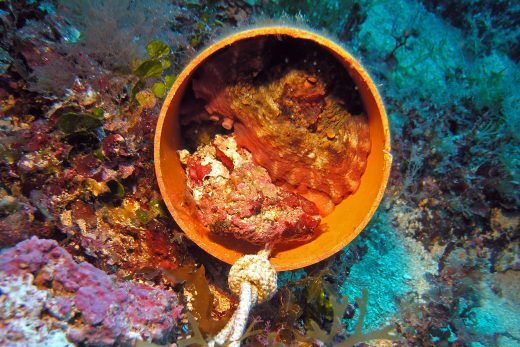 As a result, researchers and fishermen began experimenting with artificial dens as a potential complement to the natural ones the animals inhabit in rocks and reefs. Over three years, Cuccu and a local fishermen’s cooperative installed more than 200 artificial dens in a temporary marine protected area off the island’s west coast and studied how frequently they were used. 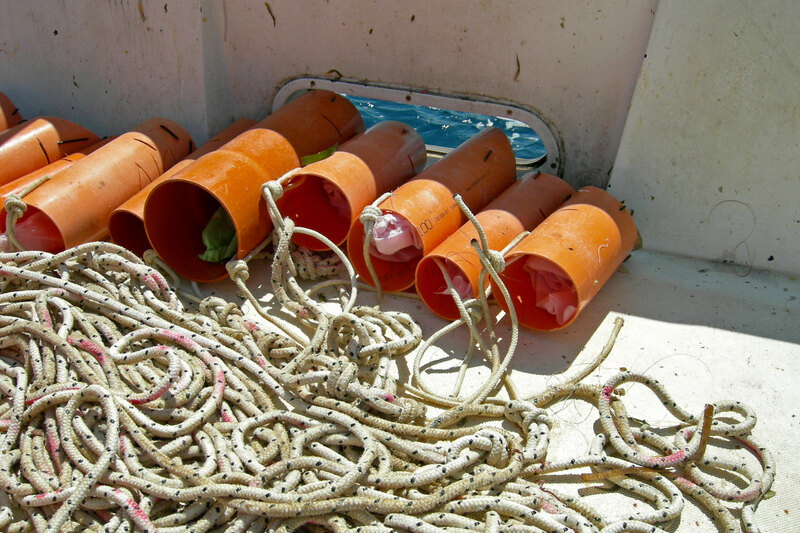 The fishermen were involved in all phases of the experiment, from the design of the artificial dens to the fieldwork. Scuba divers monitored the dens twice a month, documenting whether the octopuses used them as shelter or a place to spawn. Though the project has now ended and the dens have been removed, the evidence collected shows the octopuses liked their temporary digs. The usage rates varied over time, yet at their peak, octopuses used more than 90 percent of the dens for spawning. In just five dens, females laid roughly 300,000 eggs over the course of the trial. After depositing their eggs in the den, they then blocked the entrance with stones. Cuccu says breeding was as effective in artificial dens as it is in natural ones, suggesting the temporary homes could be a useful tool in octopus management worldwide. Though there is no official data showing an increase in the octopuses’ population, Cuccu says fishermen have observed increases in yields. Gavan Cooke, a biologist from Anglia Ruskin University in England, says he would love to see more conservation projects focus on including fishermen. Engaging fishermen in the project and teaching them about the reproduction of these species fosters more sustainable fishing practices, he says. Indeed, an octopus housing project can only be one part of the equation, Cuccu says. Other practices, such as the release of any juveniles caught in the fishery so they can go on to reproduce, are key. She says fishermen involved in the project have shown great interest in other possible steps they can take, too. “To have positive results on population growth, it is necessary to act on several fronts,” Cuccu says. 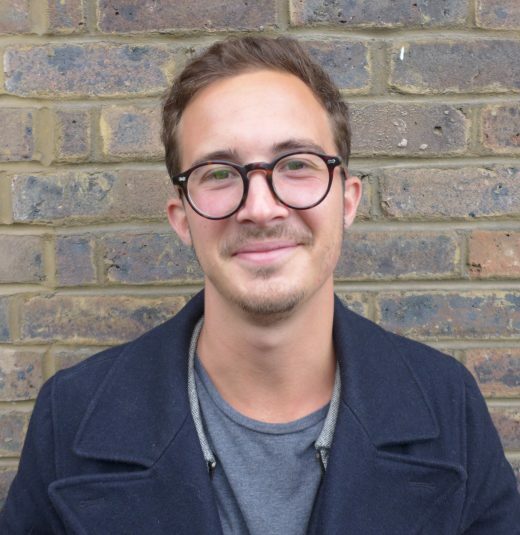 Richard Kemeny is a freelance science journalist and audio producer based in London, England. He is interested in the environment and ecology, as well as the ways technology is interacting with society. He used to work for a coral reef restoration foundation in Colombia, which involved cleaning—and singing to—an underwater nursery of corals. Cite this Article: Richard Kemeny “Common Octopuses Get Uncommon Houses,” Hakai Magazine, Nov 28, 2018, accessed April 26th, 2019, https://www.hakaimagazine.com/news/common-octopuses-get-uncommon-houses/. Artificial burrows can provide nesting habitat for birds in need. Cephalopods really are the masters of misdirection.